My article ‘From Ely to Venice: the life of William Maurus Taylor OSB (b. 1576)’ recently appeared in volume 133 of Downside Review, a journal devoted to Benedictine history. Maurus Taylor’s claim to be the ‘last monk of Ely’ derives not from the fact that he was ever a member of the pre-Reformation Benedictine community at Ely Cathedral, but from the fact that he was born in Ely and became one of the first Englishmen after the Reformation to enter a Benedictine monastery. 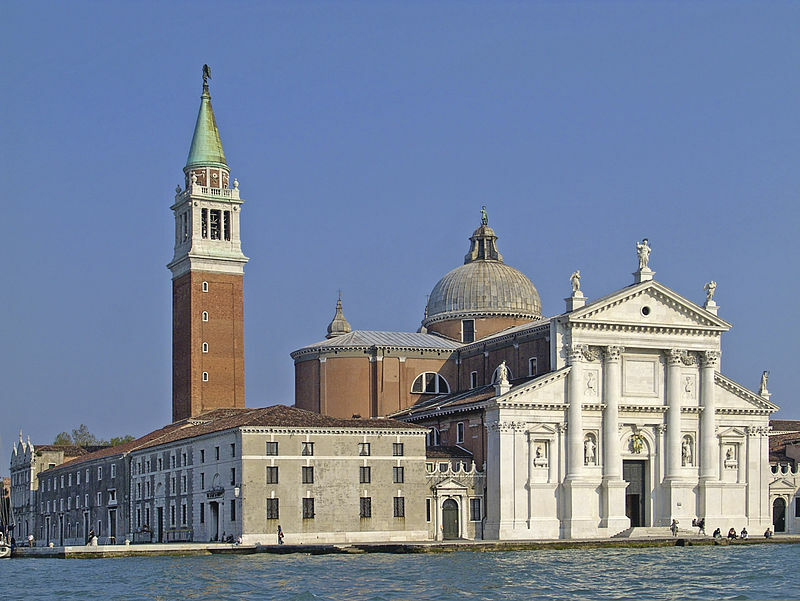 Of necessity, that monastery was not in England but in Europe, in this case the Cassinese Benedictine abbey of San Giorgio Maggiore which occupies its own island in the lagoon of Venice. Taylor lived a long life (he was still alive in 1653) and may have been the last surviving English Cassinese Benedictine as well as one of the first. Taylor was born to Romuald Taylor, a man from Lincolnshire and his wife Ann Adam, who belonged to a moderately wealthy Ely family who held the copyhold of the old monastic vineyards. He was educated at Lincoln and then at Oxford, although he missed out on a fellowship at Magdalen College owing to his burgeoning interest in Catholicism. He was offered a job as a secretary to the Earl of Worcester at Raglan Castle in Wales, and when his master was called to London he used the opportunity to take ship to France, making his way to the English College at Rome, where he hoped to train for the priesthood. However, Taylor fell out with the authorities in Rome and went to join the Benedictines at Venice, where he followed in the footsteps of another East Anglian, the great moral theologian Robert Gregory Sayer. Sayer died shortly after Taylor’s arrival in Venice, but Taylor edited his works posthumously. In 1607 Taylor, who had trained as a Canon Lawyer and was an Apostolic Notary, was summoned back to England in order to assist at a very important meeting. At a secret meeting in London on 21 November 1607 a surviving monk of Westminster Abbey clothed two Benedictine novices in the habit of the English Benedictines, thereby ensuring the continuity and survival of the ancient pre-Reformation English Benedictine Congregation. Taylor’s role was to draw up the ‘Instrument of Aggregation’, which is the legal foundational document of the modern EBC to this day. Taylor stayed in England and tried to set up a convent in Paris; he then returned to Venice and was tipped as a possible candidate for the episcopacy in the 1630s. He may have returned to Raglan Castle as a tutor in the 1630s, but he ended his life at San Giorgio Maggiore in Venice. Ironically, although Taylor was never himself a member of the English Benedictine Congregation, he played a key role in its foundation that has not hitherto been appreciated. This entry was posted on August 16, 2015 by jacobite.